English Landing Eagles participated in Sophie's Run on Saturday, May 7, 2016. 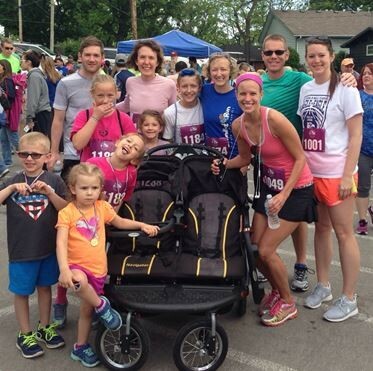 Sophie’s Run honors the life of Sophie Edwards, a citizen of Lake Waukomis and student of the Park Hill School District, who passed away April 29, 2010. Sophie's Run is a 5K race which raises funds to benefit children in surrounding communities to assist them in obtaining additional technology that will help children in the school setting and at home. Congratulations to our English Landing TEAM for participating in this event! What's Happening at the NEST? Wednesday, May 18, 2016: English Landing Spirit Day! 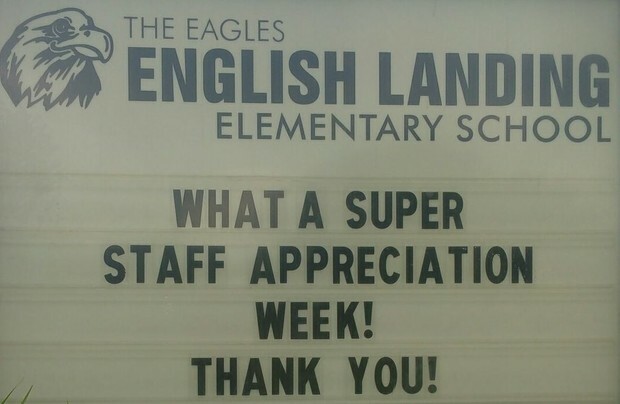 Thank you for a very special Staff Appreciation Week last week! 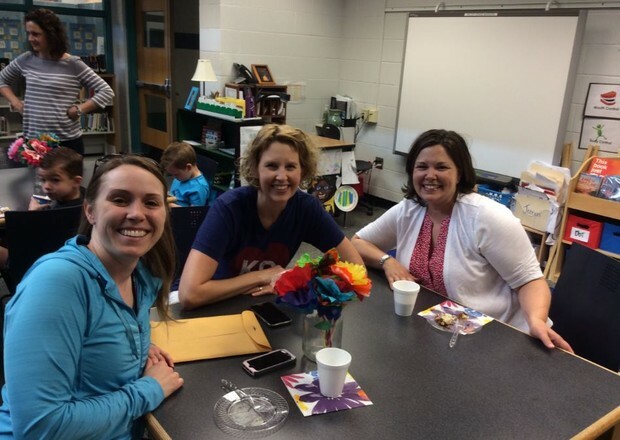 Thanks to Mrs. Arnold and Mrs. Masson for coordinating this week-long CELEBRATION! Today, we welcomed 17 teachers and administrators from the Joplin School District to English Landing. These teachers traveled to Park Hill to learn more about the Continuous Improvement Process and spent most of the morning with us learning from our teachers and students, too. 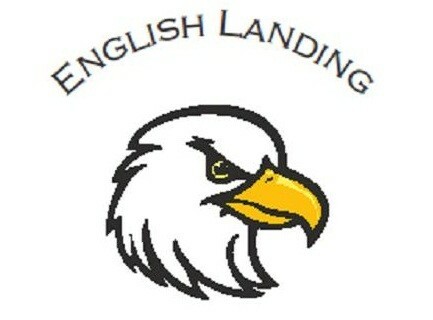 This is the second trip representatives from the Joplin School District have made to English Landing. Dr. Kimbrel, Executive Director for Quality and Evaluation, has coordinated these visits to Park Hill as districts have requested site visits to Park Hill after we received the Missouri Quality Award earlier this year. NO Breakfast or Lunch Charges! As the 2015-2016 school year is winding down, the Park Hill Food Service Department will not permit students to charge breakfast or lunch beginning Monday, May 2, 2016. If your child does not have adequate funds in his/her account to cover the cost of a meal, he/she will be offered a cheese sandwich lunch and side choices instead of the regular meal selections. If you have any questions, please contact the Park Hill Food Service at 359-4090. Save the Date! Fifth Grade Awards Ceremony! 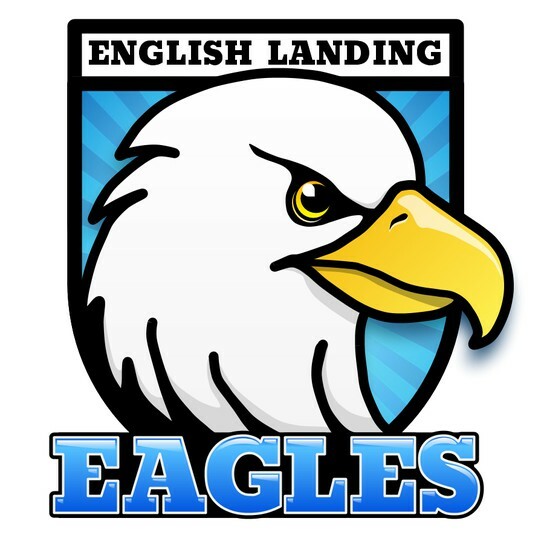 In following an English Landing tradition, our fifth grade eagles will be recognized during a special awards ceremony at the end of the school year. This event will take place on Friday, May 20, 2016 from 2:00pm to 3:00pm in the English Landing Gym. The 2016-2017 Park Hill Elementary and Middle School school supplies are now posted on the Park Hill School District website: Parent Resources. We need your help! We have new faces on our English Landing team, so please help us by having your blue car rider sign with you when you are picking up your child during evening dismissal. If you do not have a blue car rider sign and would like one, please stop by the school office so we can make one for you. In following Park Hill safety processes, if our English Landing office staff does not recognize a parent or guardian, a photo identification (example-driver's license) will be reviewed before your child is released to you. Thank you for helping us provide a safe dismissal process. Please call the English Landing Office at 359-4370 (Attendance Line-Press 2) or e-mail Mrs. Gadd at gaddb@parkhill.k12.mo.us when you know your child will not be attending school that day. At 9:30am we will send parents/families a school messenger voice mail of students who are absent if we haven't received a prior notification from a parent. Thank you for your help! We previously shared in the English Landing Back to School Family Newsletter the steps families need to take if you want your child to be included on the Image and Contact Information Opt Out List. 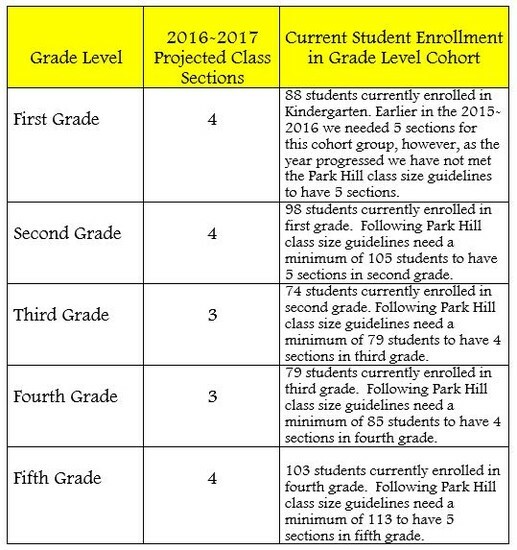 Throughout the school year, the Park Hill School District and/or English Landing might take pictures or video and release personal information about students for promotion. · A special event or program at a school might be covered by a newspaper or television station, resulting in student interviews and pictures. 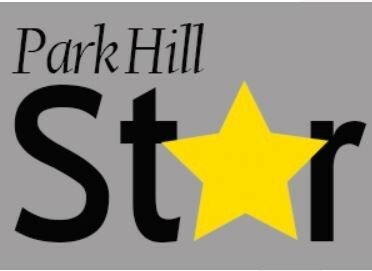 · Award-winning students might have their names and photos published in a local newspaper, a school newsletter, the districts “First Hand” e-newsletter, the districts “Park Hill Connection” newsletter or on Park Hill TV-Channel 18. · The district or school might post pictures of school activities on webpages and social media. If you do not want your child’s image or information used, please contact the English Landing office at 359-4370 to complete a 2015-2016 Denial to Release Information Form.